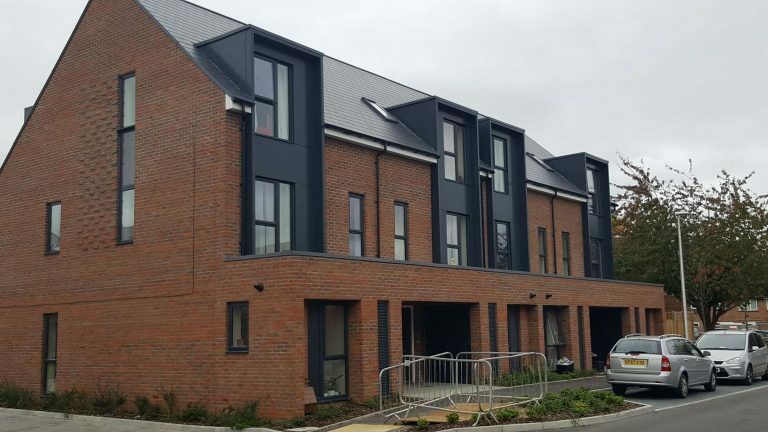 This extensive new-build housing estate for Hill Partnership incorporated aluminium dormer cladding and bespoke porches throughout. 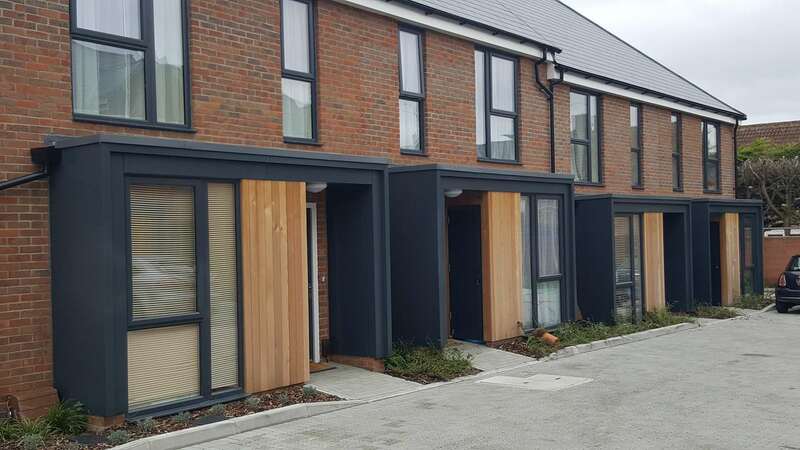 We are the leading specialists in solutions for the external envelope. 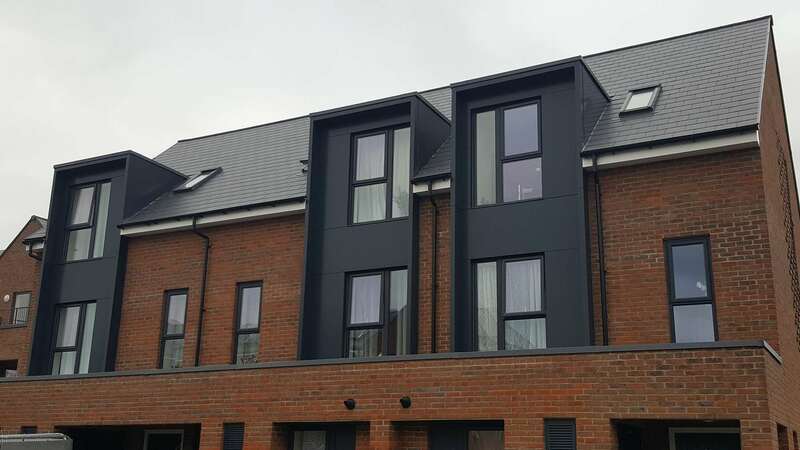 TetraClad is a leading specialist in Rainscreen & Fire Protection Cladding and one of the leading specialists in solutions for the external envelope.